There is a tremendous growth in the adoption of Computer Aided Design (CAD) by design engineers and manufacturers alike, completely replacing the traditional ways of developing a product design using pen and paper. 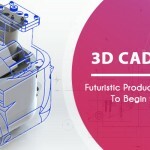 This has been made possible by modern CAD modeling tools like SOLIDWORKS, which is a powerful and easy to use tool for CAD users of any skill level. Companies are increasingly using this tool to design, engineer and evaluate their products or systems, prior to manufacturing and saving a significant production time and cost. This can be sensed by the fact that around 3 million engineers and designers utilize SOLIDWORKS globally, and this number is increasing every single day. Let’s look at why engineers and designers adopt SOLIDWORKS as their trusted CAD tool for product design and development. While it might be easy to purchase new CAD software, the real complexity lies in implementing the system, to ensure that the tool is in sync with the existing processes and shows beneficial results quickly. Improper implementation means, the software is underutilized and the productivity is affected. Implementation doesn’t mean the time required to setup and customizing the tool according to the requirement. It means the time required to set the objectives, assigning resources, training them and investing in hardware equipment. A design engineer often requires testing their product designs for strength, durability, sustainability and safety before sending it to production. Today, most engineers rely on simulation tools to perform virtual tests such as structural analysis, fatigue life estimation, vibration analysis and much more. However, this often requires separate tool that performs analysis using finite element methods, and are often expensive and complex to operate. With SOLIDWORKS however, simulation tools are already integrated on the same platform to perform basic simulation of the product design. Since the design engineers can perform virtual tests on the same platform, the chances of errors in CAD data transitions are less. Engineers can predict the performance, determine stress, strain and deformation in the design by applying loading conditions. With clear visuals, it is possible to improve the design directly and ensure a better quality of the product before actual manufacturing. SOLIDWORKS also supports the traditional 2D processes and provides design engineers to easily develop manufacturing drawings, assembly drawings and manufacturing documentation with ease. This provides the shop floor people with accurate design information, and in turn keeps the design communication seamless. One can easily change the dimensions in the 3D model and the same is reflected in the drawings, ensuring that the design information is always correct, irrespective of any form. This tool also has exceptional capabilities to develop design materials for marketing purposes. Product models can be easily rendered to develop realistic images as well as animate the product behavior, to help marketing teams to better pitch the product in front of customers. 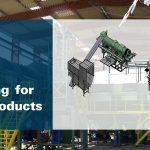 These facilities also enable design engineers to convince management for investing in the new product ideas, as they can better understand the design intent and features of the new product. 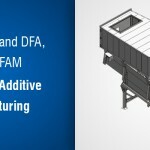 The product development and manufacturing landscape is changing and requires accuracy in the design for both conventional manufacturing as well as modern rapid prototyping technologies. The need is then to have the software that is capable to not only accommodate existing manufacturing processes, but is also capable to help manufacturers in adopting advanced manufacturing techniques. 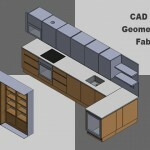 SOLIDWORKS is indeed the tool to meet these requirements and is the first choice of engineers. 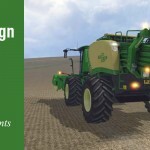 Interested in developing your product designs using SOLIDWORKS? Send your details at info@mechanical3dmodelling.com. At M3DM, we have a team of SOLIDWORKS certified professionals, who have delivered CAD solutions to clients across the globe.